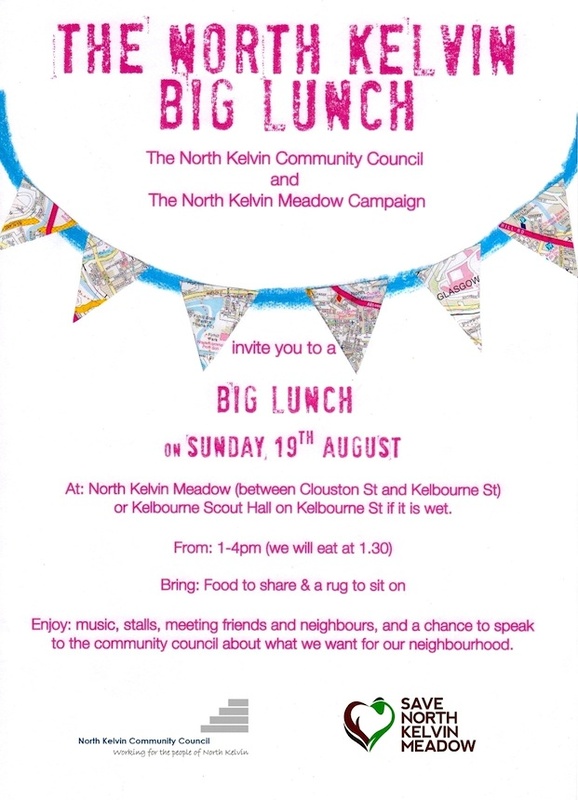 It’s a community picnic, a chance for you to meet your neighbours and have lunch together, and it’s jointly organised by North Kelvin Meadow and North Kelvin Community Council. You’ll need to bring food and drink to share, and something to sit on. If it’s raining, we’ll be in the Scout Hall on Kelbourne Street. The plan is to lay all the food out and then everybody can help themselves to what they fancy. We’ll eat at 1.30pm. There will be music from jazz quintet Perdido, facepainting, and we will have a ‘Shop Local’ raffle, with all prizes donated by local businesses. There’ll also be information from local organisations, and a chance to have your say about what you want to happen in the North Kelvin area. We really hope you can come (and that the weather’s good! ), see you all then.